in spite of coming to know all these thing Toyota desnt feel responsible.its is trying to make money out of its brand name n selling d brand name in d market not d product. it is disgusting thing n company has gone mad in making money in that aspect it is trying to save money on it own logo..ive new etios sedan gd worth 8 lakhs. it dosent have toyota chrome emblem on steering wheel.ever a normal hatch back from other brands have chrome logo.dash board is of poor quality, it ok , one can adjust with some trims ..how one can compromise if it has no logo? also it is not available in d market. i am fed up by making call to toyota n registering complaints.they dosent feel responsible n dosent feel shame.if toyota is really conserned about its brand in market then it should solve d reverence of customers. My excitement of my very new Toyota Etios was ruined by an unfortunate event that occurred while I was visiting a marriage out of the town. 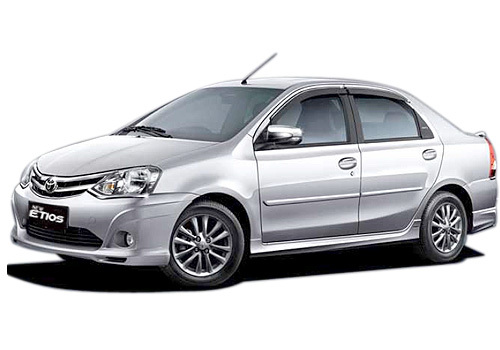 Toyota Etios is great looks, Etios amazingly comfortable and great engine performance. Toyota Etios is loaded with safety features..like.... ABS and air bags etc..